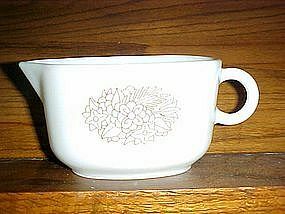 Pyrex white oval shape gravy boat with the brown woodland pattern. Corning oven proof. Measures 3" deep. Excellent condition.